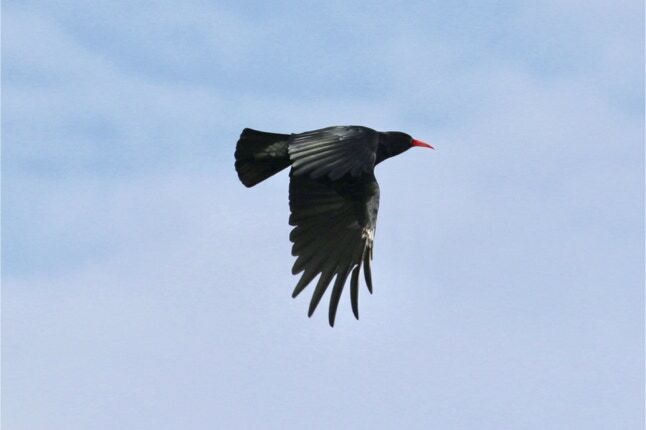 The only crow with red legs and bill make it easy to identify the Red Billed Chough. That is as long as you can find one! It lives on short grazed grassland and looks for beetle larvae as it probes the ground. It nests on rock ledges and crevices on cliff faces. She will lay 3 to 5 eggs and both parents feed the chicks. 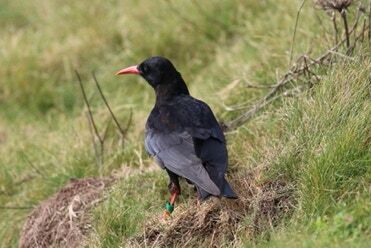 A small colony has made Cornwall their home and sheep are used to graze and keep the grass in perfect condition for the Chough. and have a wingspan of 82cm. They weigh in at 310g and live for around 7 years.